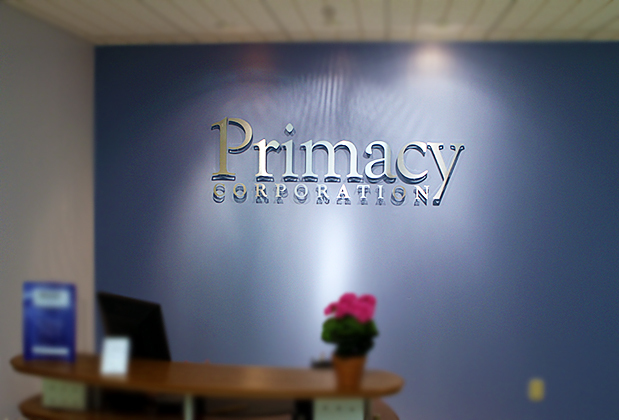 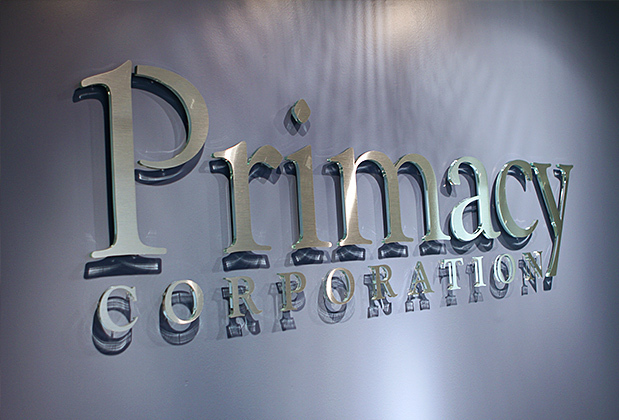 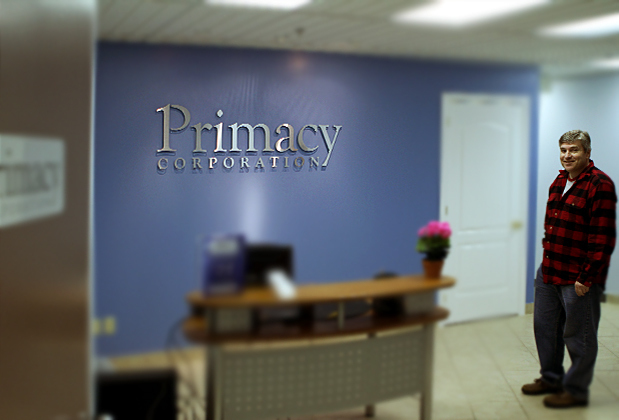 Primacy Corporation Acrylic Metal Glass® Another Artsigns Invention. 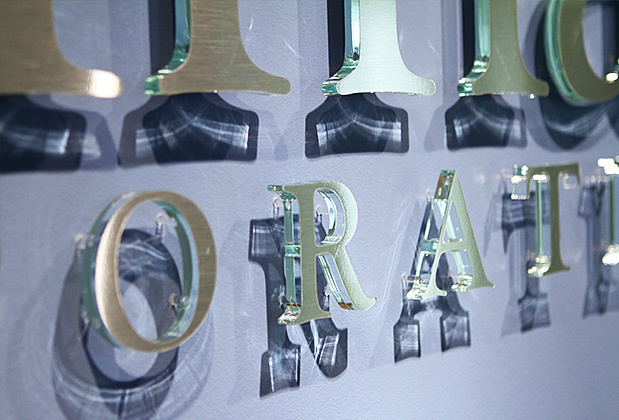 In this case we've used brushed metal film to create very delicate and luxurious look combination. 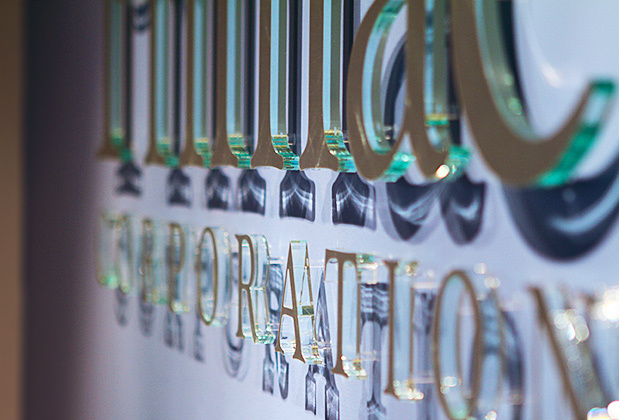 Dramatic reflections of the clear edges of the glass acrylic. 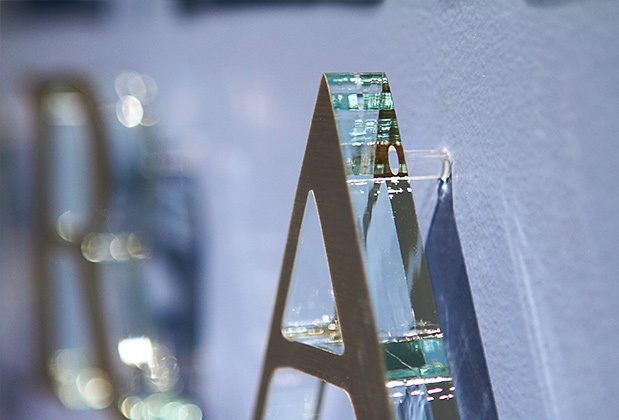 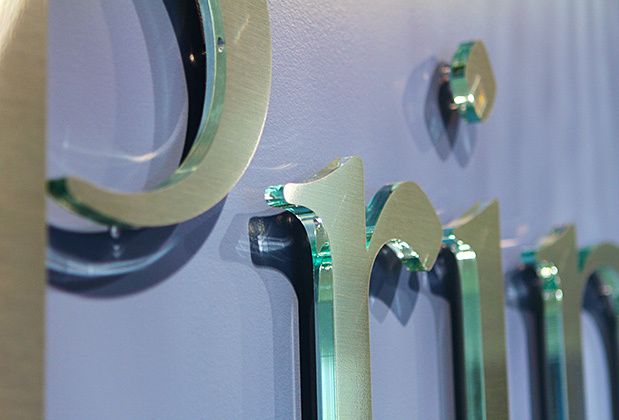 Detailed view of the A letter, brushed metal film on the faces with clear glass acrylic edges.